August brings us back to school time, and with that, comes the often repeated lunch dilemma--how to plan a healthy meal that will make it through the day? And how to make sure the kids will actually eat it when lunchtime rolls around? Back-to-school lunches and after school snacks are always a challenge; from the morning preparation process to the picky eaters, there are many obstacles in our way. It’s especially difficult to continue to come up with creative recipe ideas and dishes to pack day after day that your children will enjoy…and that’s where Hormel Foods comes in! Make It Unique: Mix up the classic sandwich by using a whole grain bagel or wheat tortilla as the bread. Pile on preservative-free Hormel® Natural Choice® Deli Ham with kid-friendly condiments. 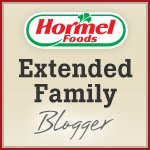 Did you know that the Hormel® Natural Choice® line has zero preservatives and no artificial colors or flavors? These delicious deli meats are perfect for sandwiches and wraps. Speaking of Sandwiches: Cookie cutters can make a plain sandwich fun! Cut shapes for smaller pieces or just switch a piece around for color! I love to cut a design, then place the cheese at the very top so the kids can see the pattern. Keep It “Cool”: A small frozen water bottle in a colorful insulated lunch bag will keep food cool and give your child needed fluid to get through recess. Always make sure to keep food cool for safety. Frozen yogurt tubes, applesauces, and drinks help keep the temperatures down till lunchtime. 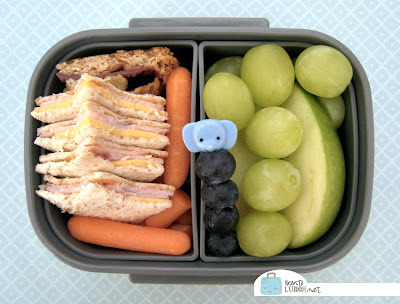 Leave Some Love: Add a note from home or a colorful sticker to add some fun and love to your child’s lunch. There are plenty of options from cards you can purchase, to printables, to a simple note on a napkin! My son's favorite was a joke that he could share with his friends. What other ways do you make lunch special? I'm always looking for more great ideas!